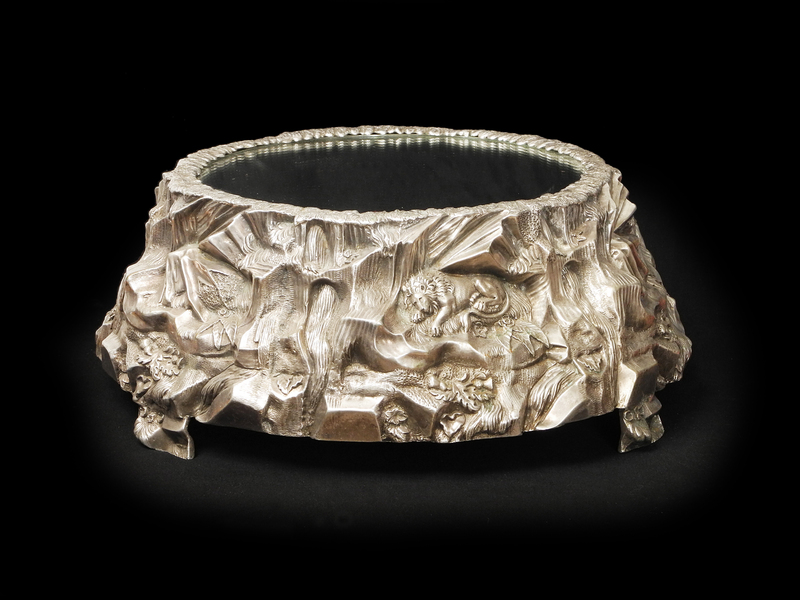 A fine and rare large silver plated centrepiece. A massive and fine quality Victorian silver plate centrepiece. Deeply moulded with wild beasts, waterfalls and tree amongs a rocky backdrop. Measures approximately 48cm in diameter and weighs well over 10kg! Beautiful original condition with minimal plate loss. A principle piece, potentially unique.